Quick Change platens make your job easier. Use easily changeable garment platens for gym bags, tote bags, sleeves, shoes, and youth garments. For heat presses with a machine born-on date before 2014, call Stahls’ Hotronix at 800.727.8520 to order optional platens. Ideal platen for use on gym bags and items that require a round printing surface. Sturdy base made from aluminum with a 3/8" thick silicone pad. Great for printing youth garments and smaller items. Sturdy base made from aluminum with a 3/8" thick silicone pad. Perfect for printing items that require a smaller printing surface. Durable aluminum base with 3/8" silicone pad. Set of 3 - Best Value! Set of Platens. Includes 7" round, 6" x 10", and 8" x 10" platens. Print designs up to 2" x 4" on the sides of most popular youth and adult size shoes. 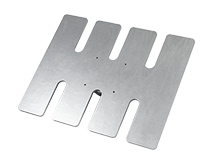 Can also be used for application on footwear with collapsible heels, such as sandals. 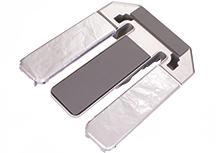 Use of a countertop or pedestal Heat Press Caddie™ is recommended when decorating shoes. Flexible Application Pads are an indispensable accessory for printing on shoes. Don't forget to pick one up! Offers even more flexibility to print on youth apparel and accessories where seams, zippers, and buttons are close together. Join in on the trend of decorated cap bills. Print the underside of hat bills or turn the cap inside-out and print the top of the bill. (Not compatible with 11" x 15" Hotronix or MAXX clamshell models). The more slender 11" x 15" design makes it easy to thread smaller women's and children's apparel. Also great for longer names and designs. The elongated 6" x 20" design is perfect for decorating sleeves, legs, and other long, slender items. Fits on the Fusion® family of heat presses. 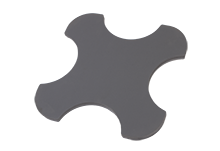 Quick Slip Lower Platen Protector included. 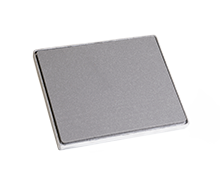 This 16" x 20" platen has three 3.5" x 15" print areas, making it great for printing both sleeves and the collar area of a shirt in one press. Includes two Quick Slip Platen Protectors. Fits all 16" x 20" heat presses. The 6x10 Platten came free when I got my fusion heat press. I thought it was going to sit on my shelf and collect dust but hey it was free. Well I have come to find that it is perfect for doing sleeves on t-shirts and even upper sleeves on hoodies. I have used if for various other items that were smaller and I feel this would be a great item to add to any heat press for t-shirt sleeves, and any smaller iterm or area to press. This smaller platen provides even more flexibility to decorate small areas of youth apparel as well accessories where seams, zippers, or buttons are closer together. Left chest on youth jackets, polos, and warm ups. Compatible with all Hotronix and MAXX heat presses.